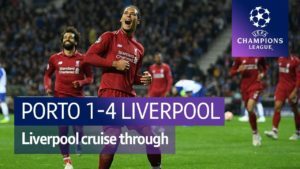 Liverpool will be keen to make a swift return to winning ways after last weekend's disappointing performance at Old Trafford. United edged the early kick off at Old Trafford 2-1, enabling them to enjoy a 5 point lead over the reds in 2nd place, with just 8 games remaining. Both Spurs and Man Utd's FA Cup commitments mean a slimmed down weekend of Premier League football, but Liverpool are one of 4 Premier League games this weekend and a win here could move the club back ahead of Spurs, albeit having played a game more. 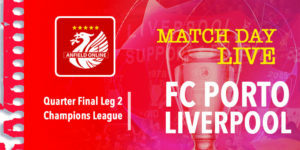 With Chelsea just 4 points behind the reds, there can't be any room for major mistakes, as Liverpool are now also faced with the tricky task of a European Quarter Final against Man City - the club 21 points ahead of us in the league. Today's visitors are Watford - the opponents back in August for the first game of the season - and a game that saw Liverpool draw 3-3. 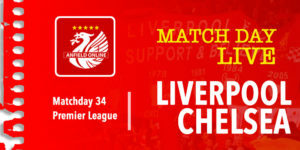 A draw today would not be a good result - the reds need all three points. Spurs and Man Utd are both playing in the FA Cup Sixth round today. Spurs are already through to the semi finals after beating Swansea 3-0. Man Utd play later tonight v Brighton. Jordan Henderson returns for his 200th league appearance. Joel Matip is back with Lovren out due to ankle injury. Wijnaldum and Gomez are also back involved. Team: Karius, Gomez, Matip, Van Dijk, Robertson, Henderson, Wijnaldum, Can, Mane, Salah, Firmino. Subs: Mignolet, Milner, Klavan, Moreno, Oxlade-Chamberlain, Ings, Alexander-Arnold. Karnezis (GK); Femenía, Mariappa, Prödl, Britos, Holebas; Pereyra, Doucouré, Capoue, Richarlison; Deeney (C). Subs Gomes (GK), Janmaat, Cathcart, Hughes, Carrillo, Gray, Okaka. The 3pm Premier League kick offs are over. Alan Pardew and West Brom look sunk - they were winning 1-0 away at Bournemouth, but ended up losing 2-1. Crystal Palace's 2-0 away win at Huddersfield sees them leap out of the relegation zone and above Southampton and West Ham. Meanwhile, Everton won through 2-1 against 10 man Stoke. Stoke's Charlie Adam was sent off in just the 30th minute of the game for a foul on Wayne Rooney, but the first goal of the game only arrived in the 70th minute. 30 minutes until kick off at Anfield. After some mild weather in the past week we've got a weekend of biting freezing temperatures again, and Anfield is currently suffering with gusts of wind and snow showers. We have had a normal training week - we looked at what we would need for this match (with regards to the changes) and that's it. It looks like (Watford) are playing 5 at the back - another challenge. We respect that but it's Anfield and we're difficult to play on a good day and that's what we want to show. Players on the pitch. Snow falling heavily. We are underway at a freezing cold, snowy Anfield. Liverpool kicking towards the Anfield Road end in this first half! 4 mins: Mo Salah collets the ball outside the area, runs in, twists, turns and drills in the game's opening goal taking Britos out of the equation. 13' Snow has eased at Anfield. Players keeping their footing a little better. Watford looking fairly adventurous which is making it a fairly open game so far. 19' Henderson enjoying a good spell so far. Not much getting past him, and Sadio Mane is looking for space more centrally - he's been combining well with Salah here. 20' ... Salah curls it in to the back post, but Holebas puts it behind for a corner before Firmino can reach it. 22' Watford, eventually, deal with the corner but not until Wijnaldum made a good attempt at forcing his way back into the penalty area. Almost half way through this first half and it's mostly Liverpool with the ball and mostly in Watford's half of the pitch. 27' Emre Can goes off with a potential injury - James Milner replaces him. Emre Can was named in the Germany squad for the upcoming friendlies against Spain and Brazil. 30' Poor pass out from Jordan Henderson - straight back to Watford in our own half - and now Watford have a free kick themselves 35 yards out. 32' Fortunately it resulted in a Watford offside. Original Watford free kick was played out wide and headed back into the penalty area. But now Wijanldum gives it away and Watford win themselves a corner. 37' Richarlison header draws a simple save from Loris Karius, who has been a passenger so far in this game. 39' Quick break from Liverpool - Salah finds Firmino who backheels it before firing goalbound - and the keeper does well to tip it over the bar. Corner. 42' Lovely weighted ball forward from Robertson. 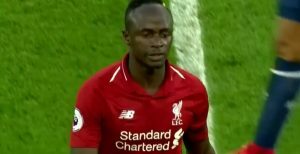 It's landed beautifully for Sadio Mane, but his ball back across the face of goal is way too heavy and the move breaks down. He's been busy has Mane, but that wasn't his best ball of the afternoon. 43' Perfect timing before half time. Fine team goal. Robertson is released down the left wing - first time cross deep into the 6 yard box and Salah is there to poke the ball in for his second, and our second of the game. 45' Just the one minute of added time to go. A very good half - bar a few midfield errors - dominated by Liverpool. Salah with two goals either end of that first half. 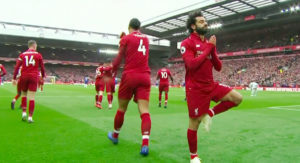 49' Mo Salah putting on a show but he is the provider now. From the edge of the area he flicks it into the area and Firmino leaps and finishes it with a back-heel mid-air. 57' Elaborate triangles being played by the Watford central defenders - hugely risky - but they get away with it on that occasion. Gomez gets beaten for a cross but Karius collects it with ease. 65' Richarlison heads off and on comes Will Hughes. 67' Lack of intensity now from Liverpool. 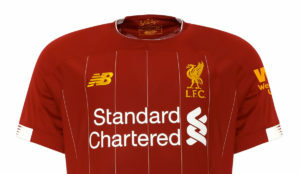 This is comfortable - Liverpool are knocking it round without coming under too much pressure. A couple of subs likely in the next few minutes. 70' For Watford, Troy Deeny is replaced by Okaka (who scored the first goal of the season against Liverpool back in August - but none since). For Liverpool, off goes Wijnaldum - he's replaced by Oxlade-Chamberlain. Another outrageous goal by Mo Salah who must have tried to take on 4 Watford players TWICE before poking the hat-trick goal in. 27 goals in the league! 79' Bobby Firmino goes off for a rest. Danny Ings on for the last few minutes. 80' Watford make their final change. Janmaat on for a deflated and well beaten Miguel Britos. 84' The ball falls to Danny Ings inside the area but his shot is straight at the keeper who punches it away. That would have been a good moment for the player. 85' Well I thought that was going to be another chance for Danny Ings - the goalkeeper beats that one away but only into the path of Mo Salah. Oops. Salah goal - his fourth of the game. 89' YNWA ringing out around Anfield. Danny Ings still looking for that goal. Absolutely wonderful from Mo Salah and Liverpool. The reds have 73 goals in their 31 games and lets not forget another clean sheet today. International break ahead - let's keep our fingers crossed.